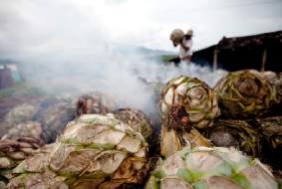 Certified Organic Produce in Oaxaca: Is it Necessary or Even Advisable? Huatulco has a new organic market! Officially known as el Mercado Orgánico de Huatulco or MOH. It is held in the park at Santa Cruz, from 8:00am to 2:00pm the first Saturday of every month, until November when it will become a weekly event! The Wisdom of Maíz – Will it Lose it’s voice? “This is delicious. It has the flavor of the tradition of who WE are.” — Amelia Gómez, Totontepec Villa de Morelos.